If I asked told you it was my birthday and I wanted a cake, what would you do? You’ve got two choices: buy a bunch of ingredients and start baking, or go to a different aisle in the grocery store and just buy the cake. Baking the cake yourself is not only more time consuming than just buying one; it also gives you more opportunities to screw up (like, say, mistake salt for sugar and bake the grossest cake of all time). Since you know I’m a shameless crybaby who will never let you forget it if you ruin my birthday, you should just buy the cake in the cake aisle, and then use your time to do something more fun than baking. 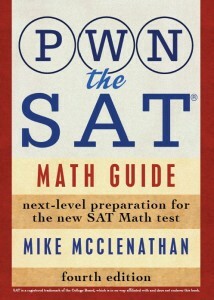 And so it is with the SAT. What do I mean? WHAT DO I MEAN??? Read on, young squire. If 3x – y = 17 and 2x – 2y = 6, what is the value of x + y? 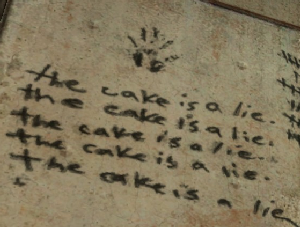 The SAT is asking you for a cake here. Baking it yourself will still result in a cake, but it will also give you opportunity to screw up, and take longer than just buying one. They don’t give a rat-turd if you buy the ingredients (x and y), so don’t waste time on them! All that matters is the finished cake, (the value of the expression x + y), and we should be able to solve for that directly without ever finding x or y individually. Our answer is (C) 11. If (x – y)2 = 25 and xy = 10, then what is x2 + y2? Note again that we didn’t need to solve for x or y individually to find this solution; all we needed to do was move some puzzle pieces around. Note also that actually solving for the individual variables would have been a huge pain. Also try this question I posted a while back (contains explanation). How would you go about solving #19(the system of equations)? It’s a little different from the examples. How do you get from what they’ve given you to what they want? You’re going to have to get rid of the y’s and z’s, since they only asked for x. If you add all the equations together, the y’s and z’s cancel out, and you get 7x = 140. So x = 20! This article – your site in general – blew my mind on SAT prep , you are greatness! 🙂 I aim to please. How about this one from the diag? Well, (x + y)^2 = x^2 + 2xy + y^2. Help on #8 for diagnostic test 3? Add those bad boys up! You get 5y + 5x = 30. Since you want y + x, divide both sides by 5 and you get y + x = 6. Could you please explain 15? Hi Mike, I have a question about this one, too. If you don’t recognize that it’s the difference between two squares and try, instead, to eliminate one variable, it still should work out, right? If p-r = 2, then p = r+2. So we should be able to substitute (r+2) for p. After FOIL, etc, the equation comes to 22, not 18. Did I miss something? Thanks, Mike! Simple arithmetic error (r= 18/4, which led to awkward squares) blinded me. and got x = -116 (via 12 – 36 – 92). So, either I screwed up some simple algebra/arithmetic or subtraction in the first place inevitably led me to the wrong answer. Could you elucidate? Phew…you gave me a heart attack here for a minute. But you flipped your signs in the first equation! The first one should read 4x – y + 2z, not 4x + y – 2z. I have a huge problem with solving for expressions. I can’t seem to figure out how to start off the question. It takes a lot of practice, but getting started usually requires adding, subtracting, multiplying, dividing, or substituting. I know that’s a lot of things, but if you think about all of them when you begin a problem, the first step will start to emerge for you. Does it matter if you add or subtract the equations in #19? Sure does! If you add them all up, the y and z terms cancel out and you’re left with 7x = 140, which of course simplifies to x = 20. The key to questions like these is to look at them for a minute before you start adding or subtracting. What do you need to do to the system to get rid of the things you don’t want? whats the difference between p^2-r^2 and (p-r)^2? A HUGE difference! If you FOIL out (p – r)^2, you’ll see. See the attached images for additional clarification. oh okay! I thought so I think its because i look too quickly to realize how different they are. i guess this is a trick the SAT uses? Thank you!